It’s easy to get excited about a new training plan or fitness regimen, but with that should come the same moderation that you’d use in other areas. Your body – from muscles, to connective tissue like ligaments, to your very bones – needs time to adjust to the demands you’re placing on it. That’s why many injuries are classified as “over-use” injuries; these come as a result of your body reaching a literal point of break-down. From aches and pains to more serious injuries like stress fractures, overdoing it is a real risk. Build rest days into your schedule, and take those days off as seriously as you take the rest of your fitness plan. Your body re-builds during sleep and rest, and endless days of training without a break can leave you exhausted, depleted, and ripe for injury. Advance in your training slowly and methodically so you can get the most out of your hard work – and avoid potential painful problems. With only 24-hours in a day, how can you cram it all in? Whether you’re juggling work, fitness, a family schedule, or more, most people find it hard to balance their day-to-day routine and get enough shut-eye. Yet sleep is vital, especially if you’re training hard for an athletic goal, or pushing yourself through a new fitness regimen. Your body renews and recharges during sleep and if you’re cutting corners, you’re putting yourself at risk of both illness and injury. Do yourself a favor and set a bed-time reminder if you can’t disconnect from TV or your smartphone. Getting an average of 7-8 hours a night is healthy and potentially more depending on your training needs. While it’s great to be active, it’s also important to mix things up so your body is challenged. Doing the same repetitive movements over and over can predispose you to injury, which is why cross-training is important. Dedicate one or two days a week to a different activity so new muscles and motions are activated and you give those old-reliable muscles a break! For runners, try swimming -for cyclists, take a light jog, just shake up your routine. And everyone can benefit from weight-training, since it helps increase muscle mass as well as bone density over time. Don’t stay in your lane when it comes to fitness; you’ll decrease injury risk and your body will thank you. If you’re struggling to get your health going in the right direction, Body One Physical Therapy can help. 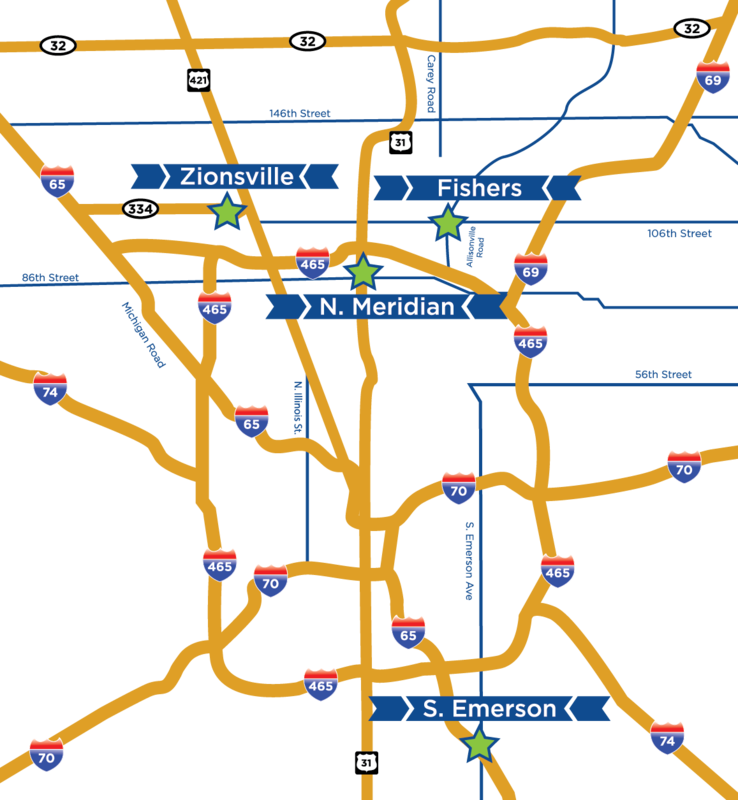 We are a locally-owned practice with four locations serving Central Indiana, making it easy to find the right spot to fix your schedule: North Indianapolis, South Indianapolis, Fishers, and Zionsville. Our team of caring, compassionate physical therapy providers works with clients of all ages and activity levels and we’d love to bring our skills to work for you.